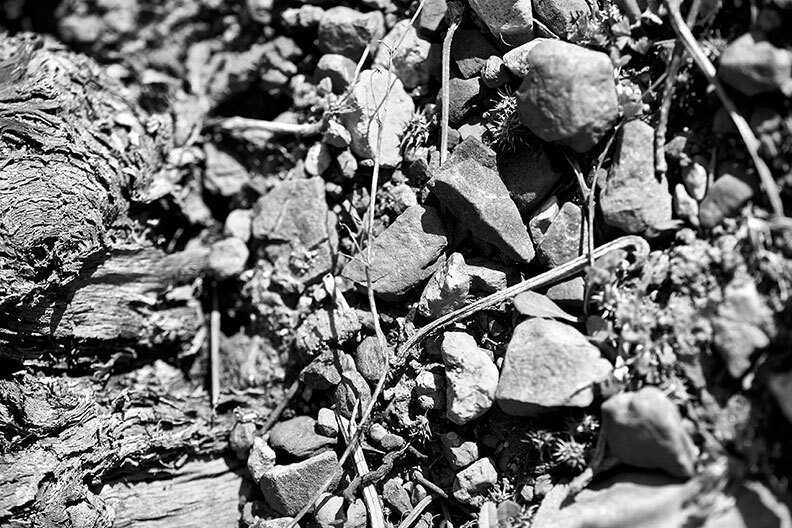 Every soil has its own geological history, and as winegrowers we simply tend what we’ve inherited. But the earth on our estate isn’t just an inert mineral that produces things: it gives them to us in return for respecting it as a living thing. So we don’t use herbicides and pesticides, just organic materials and a reasonable amount of plowing. We call it the goût du terroir. Roussillon is influenced geologically by the Pyrenees, and climatically by the Mediterranean. Our thirty-hectare estate is spread across two quite distinct geographical areas: the schist of the Agly valley, and the rounded pebbles of the Têt valley. The coal-black schist of the Agly valley imparts minerality, elegance and tension. Our vineyards here face southeast towards the Mediterranean, at an altitude of eighty meters. We use them to grow white grapes: Macabeu, Grenache blanc, Vermentino, Roussanne, and Viognier. The soil is very shallow, which naturally limits the vines’ productivity and gives the wine a characteristically airy, mineral freshness and tension. The rounded granite and quartz pebbles of the Têt valley bestow freshness, volume, roundness, and amplitude on our reds and rosés. Located in the district of Perpignan, these are the original vineyards our family owned. The sea deposited layers of sediment here for millions of years, dragging rocks from the Pyrenees as it withdrew. 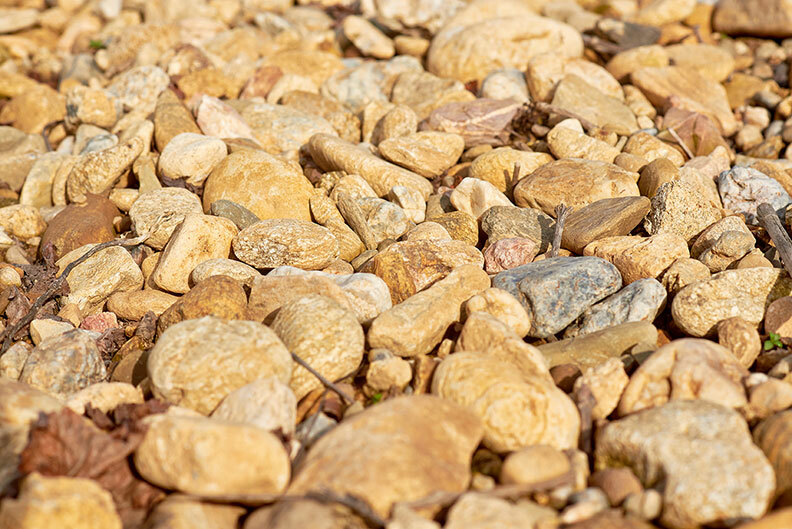 These eroded into the distinctive rounded pebbles strewn across our terraces, with deep clay adding moisture so that the vines mature slowly and gradually, yielding very high-quality grapes. The vineyards face due east, and benefit from the influence of the Mediterranean only a few kilometers away. They are classified as AOP Côtes du Roussillon Villages, and we use them to grow black Syrah and Grenache: fresh, fruity, sweet and spicy grapes that produce truly distinguished wines.